Rising temperatures can lead to heat induced automotive repair issues for Burke VA drivers. Batteries, tires, radiators and air conditioners suffer various problems during Northern Virginia heat waves. Heat shortens the life of a battery. In hot climates, battery life is reduced about 30 percent. High temps cause the fluid in batteries to evaporate, which kills the battery cells. The battery acid can also expand and leak. This may cause corrosion on the battery terminals resulting in a weak connection to the battery. Tire pressure increases as much as 5 to 8 lbs. in high temperatures. 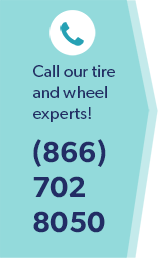 This can cause over inflation of the tires and if you have worn tread, you're at risk of a blow out while you're driving in Clifton VA. That's why it's important to bring your car into a gas station or automotive repair shop in Burke VA to have your tire pressure checked often, especially before longer journeys. Low coolant levels can be very dangerous to your engine. The radiator is responsible for ensuring that the engine doesn't get to cool or too hot. Summer can be tough on this system - sitting idle in traffic really heats up the engine. If your engine gets too hot, parts can actually start to meld together leading to serious automotive repair bills. Thus checking your antifreeze levels is as important in summer as in winter. Antifreeze boils at a higher temperature than water so it doesn't evaporate as quickly. Also check for vulnerability in the hoses, especially where the hoses connect to the radiator. If the hoses are soft rather than firm, they should be replaced. Extreme hot weather puts a lot more stress on your air conditioner. Drivers tend to keep it running constantly. If your system isn't keeping you cool, then the refrigerant is probably low. This might be the result of a leak in the system, so make sure to have your mechanic check it out. Many other parts of the car can be adversely affected by hot weather - belts stretch, hoses deteriorate, and electrical components can be damaged. A regular auto check-ups should allow a mechanic to detect these issue before they lead to major repairs. Schedule a check-up with Wiygul Automotive Clinic today.